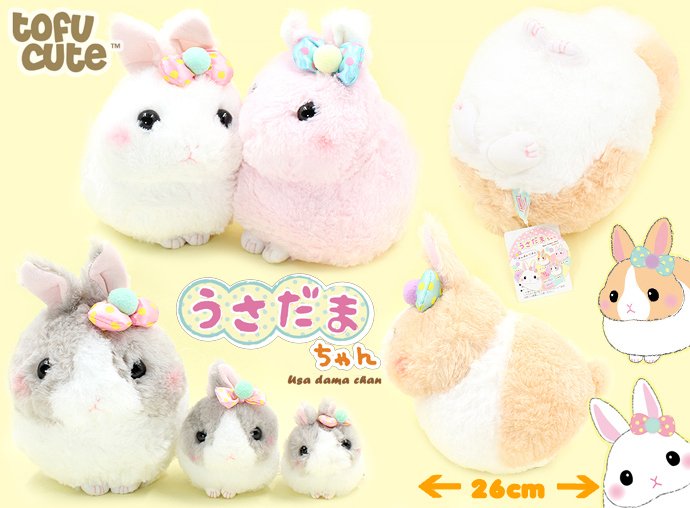 These adorable "Usadama Chan" bunnies are produced by famous Japanese plushie company AMUSE. 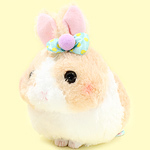 This is the 'Pom Pom Ribbon' series and they are made from a super fluffy and soft plush material. 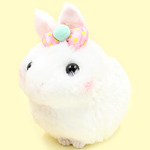 Just like real life bunnies, these are irresistibly cute and super fluffy! 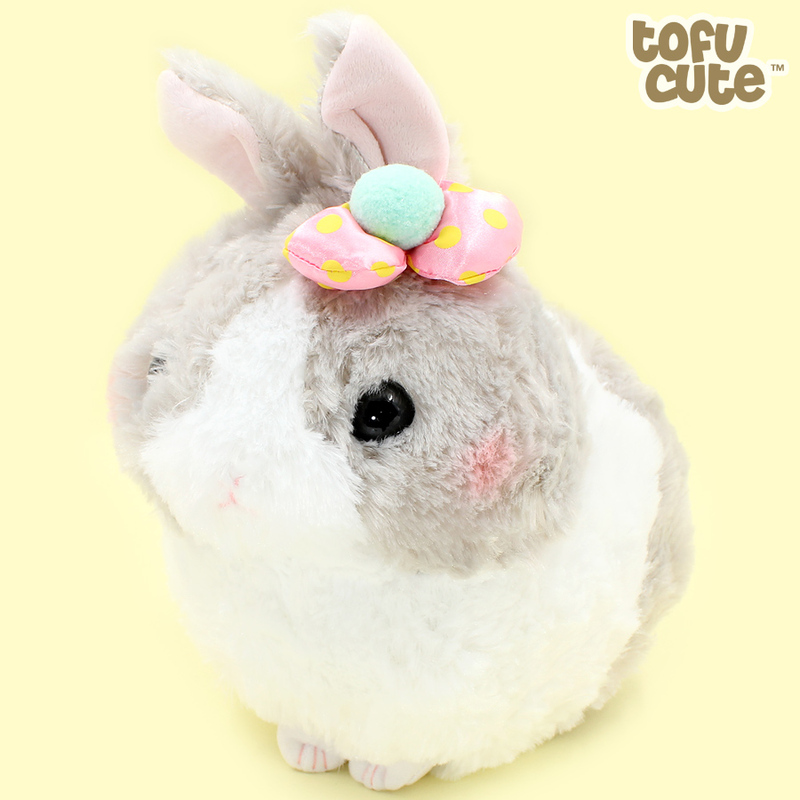 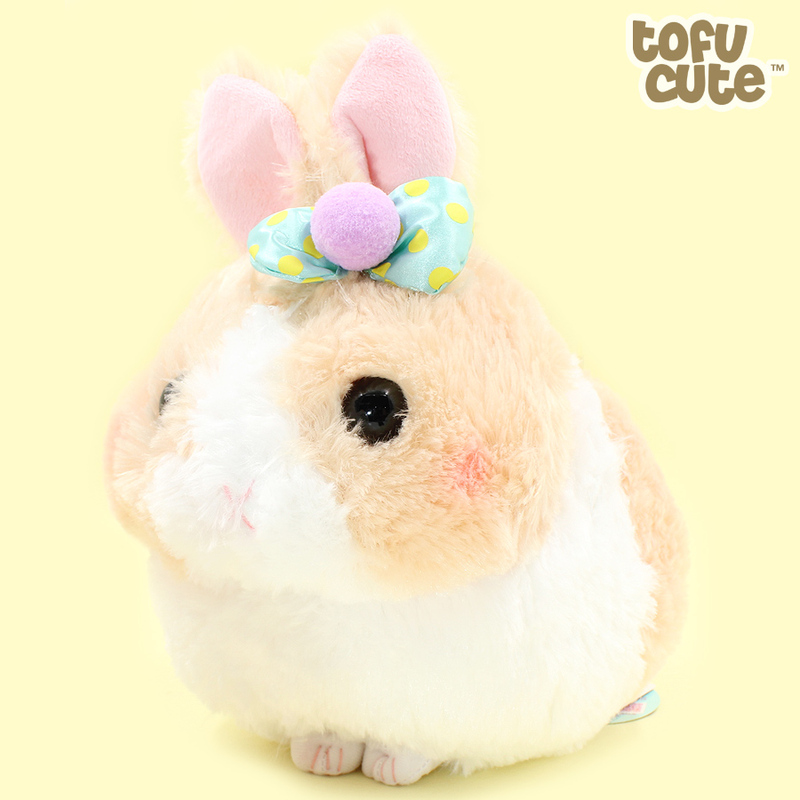 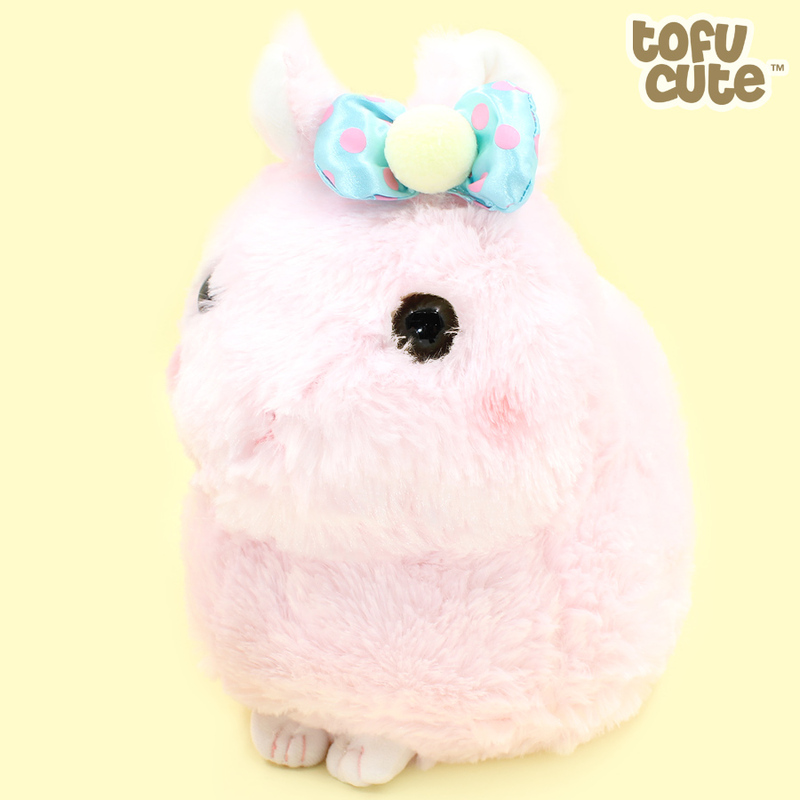 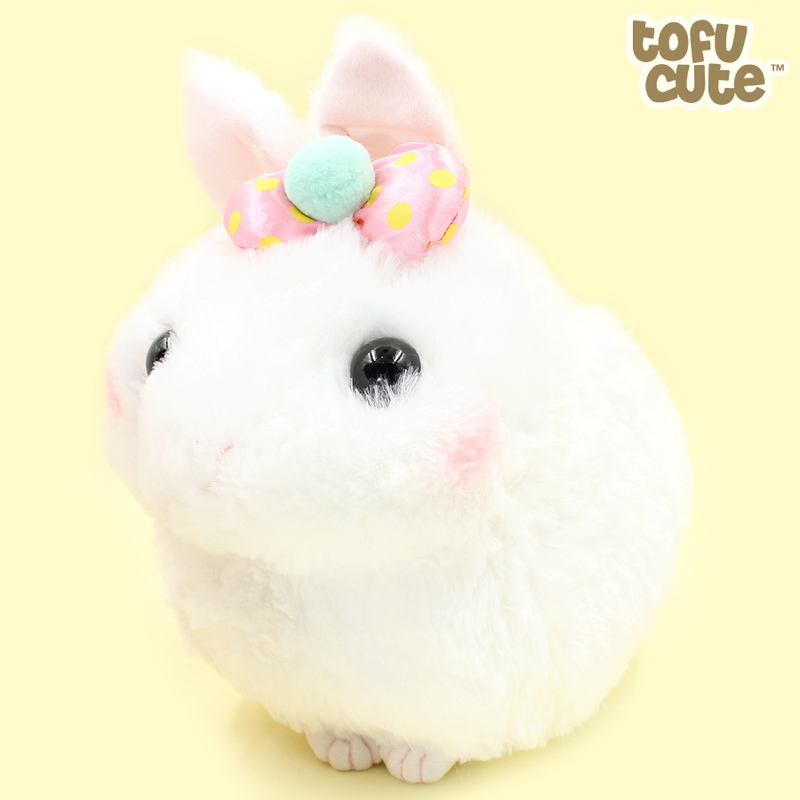 Usadama Chan bunnies are adorned with pretty pom pom bows, and have big, round eyes. 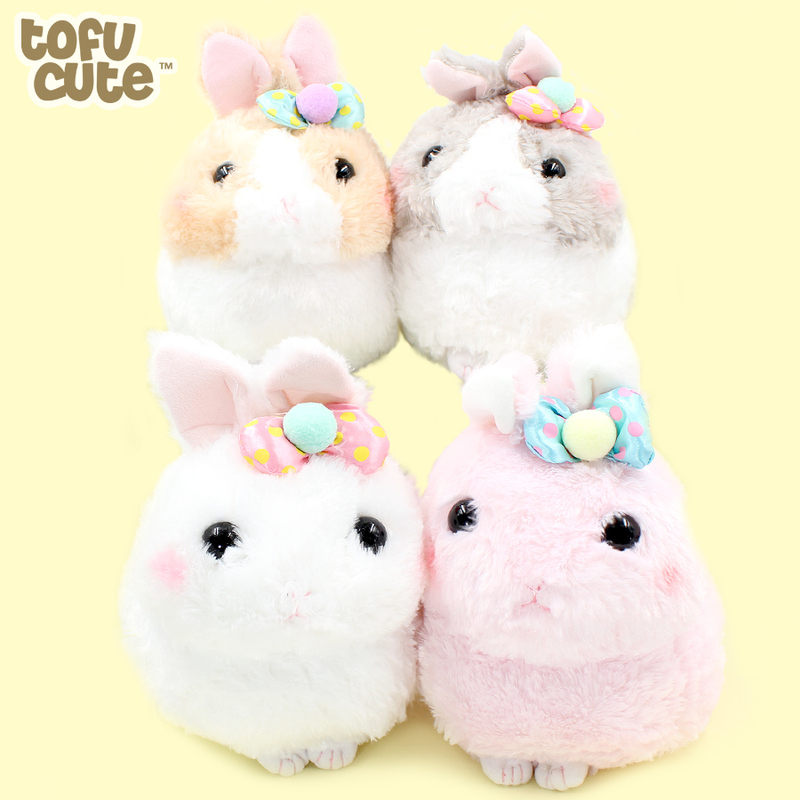 These plushies are part of the JB series. 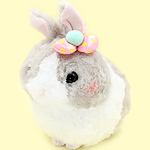 JBs are a special and exclusive medium sized plush, which is a little smaller than our giant size and a little larger than our small plush. 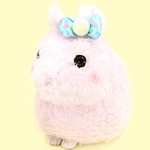 They would look adorable sitting on your bed or sofa, and if you can't decide which colour... why not adopt both!